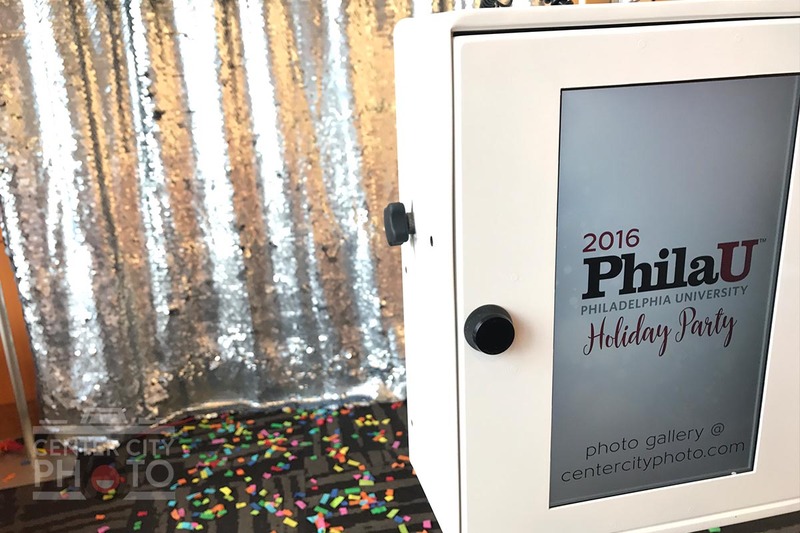 Center City Photo specializes in providing photo booth rental service to the Philadelphia, New York City, New Jersey, and Washington DC area . Our photo booth has great lighting so your pictures are guaranteed to come out sharp and beautiful! Our mission is to help create and preserve special memories for years to come. We love what we do; making people smile and laugh, then walk away with new stories to tell with a photo in their hand. 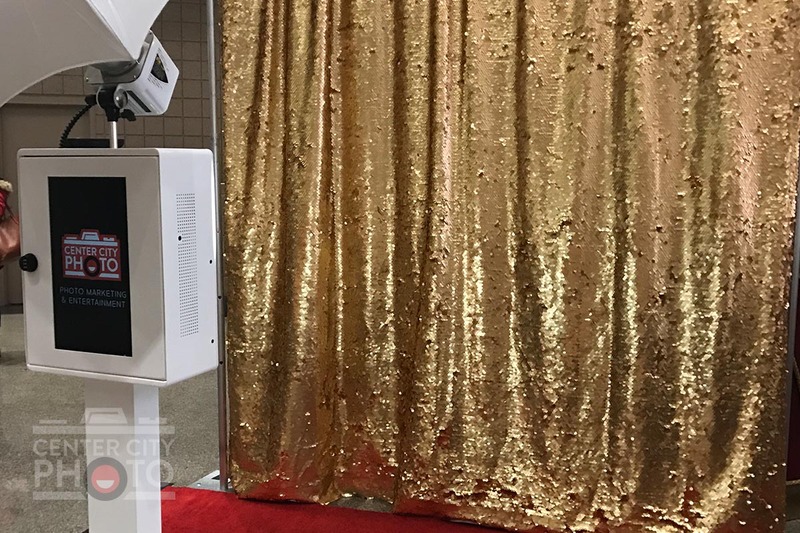 Our photo booths use high quality digital technology, including a touchscreen monitor, high resolution digital camera, studio grade lighting, and a professional dye sublimation printer. The printer produces commercial grade prints in eight seconds where other photo booth companies could take minutes! We have other features such as an additional monitor that has a running slideshow of all the photos taken. Our booth even comes with an iPad where guests are able to email or share their photos on social networks during the event! We use a high quality DSLR camera in our photo booth, so that guests can enjoy their images for years to come. We use studio lighting for capturing the best photo booth pictures. We use a dye sublimation printer that prints out professional grade quality photos within 8 seconds of the last photo taken. We always bring a clean, sleek and modernized "Open booth" setup to every event. Why cram into a tight space when you can get as many as 22 into a single photo booth session. Google Reviews - We used Center City Photo for our wedding. Josef and his staff were extremely professional and very friendly. Everyone at my wedding loved the quality of the photos and how they could easily upload their pics right to social media. We also opted to get the scrapbook and had a copy of everyone's pictures and well wishes. It is such a great momento! We highly recommend Josef to everyone, it was money well spent and you won't be disappointed!!! I used Center City Photo at my wedding this past weekend and am really happy with how everything turned out! They were extremely responsive and accommodating, and offer really cool options like gifs, boomerang, and more social media integrations. The way they setup the photobooth at my venue was beautiful and professional! My guests loved this at my wedding! I wish I could go higher than 5 stars! I used their services at my wedding and it really added that memorable touch that everyone loved!!! I HIGHLY recommend them; You won't be disappointed!!!! Center city photo and their team is wonderful! My experience with them has been nothing but great. I was recommended by my sister to have them for my wedding and the experience was great! They were able to capture every exciting moment of the wedding and especially of the guests. I would definitely recommend Center City photos for any event! Center City Photo and Josef were amazing. If I could give them 10 stars I would. He was on time, clean cut, friendly and FAST! We had a wild and crazy crew and he was able to handle us efficiently...all while working the crowd and encouraging to have everyone get involved. Then his technology is top notch. I've seen a lot of the standard played out photo booths. His takes everything to another level. Thanks again! I would definitely recommend. 1HOW DOES YOUR PHOTOBOOTH WORK? 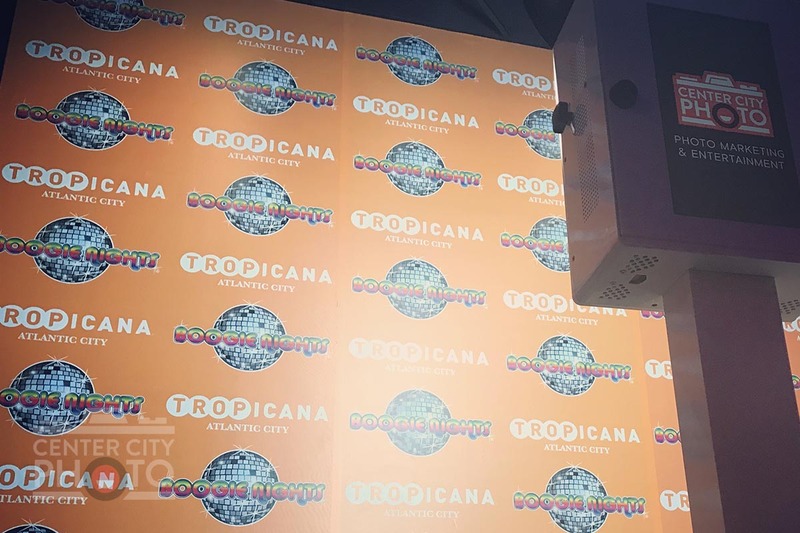 2WHAT KIND OF EVENTS WOULD A PHOTO BOOTH BE PERFECT FOR? 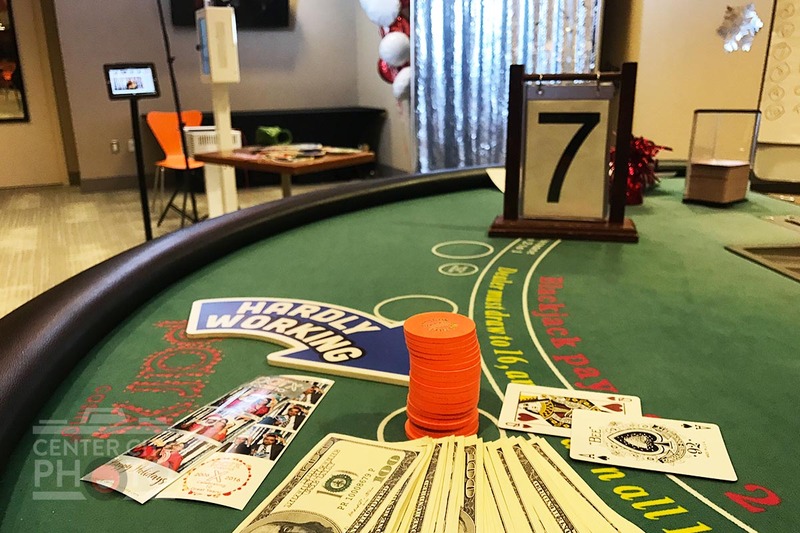 Center City Photo can be perfect for any event where you’re looking for your guests to have an entertaining and everlasting memorable experience with the printed memories and sharable GIFS and boomerang. 3HOW MANY PEOPLE CAN FIT? 4HOW CAN WE SHARE IT FROM THE EVENT? We can bring our share station, you will be able to share your digital images, gifs, boomerang to your email, and you can share it from there. 5HOW CAN I CUSTOMIZE THE PHOTOBOOTH? 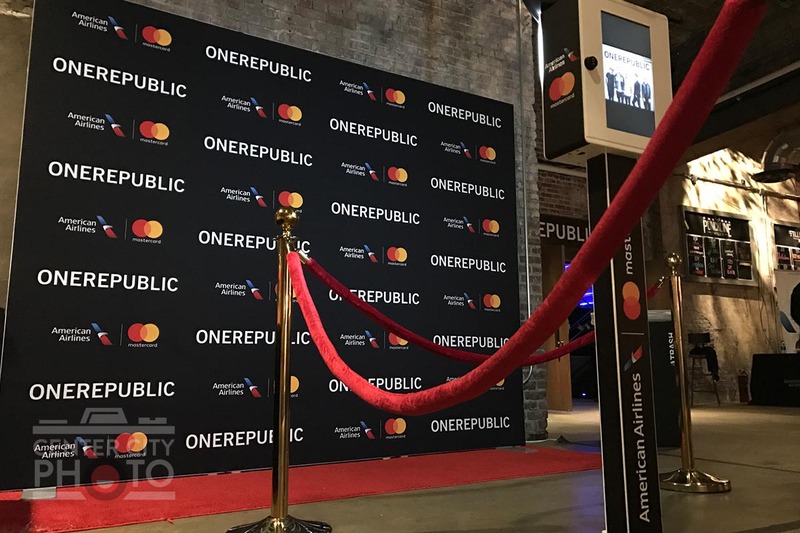 We can customize your photo booth experience with your various choice backdrops, design or brand your photo booth prints (2x6 strips, 4x6 post cards, or jumbo 6x8s), brand & customize your GIFS, custom step and repeat backdrops, red carpet & red rope stanchions, props. If you're talking about the latest craze in photo booths? YES!! Center City Photo can do boomerang. Very similar like the app on your smartphone, we can bring boomerang to any event. We can customize, brand your boomerang as well for the best sharing experience. 7CAN CENTER CITY PHOTO DO GIFS? Why yes, Center City Photo can do GIFS! Our GIFS can be branded or personalized for your event. And we also do Boomerang! 8HOW CAN WE SHARE IT FROM THE EVENT? 9CAN WE BRING OUR OWN PROPS? 10CAN WE BRING OUR OWN BACKDROP? YES! You can bring your own backdrop! 11HOW MANY TIMES CAN WE GET IN THE PHOTO BOOTH? As many times as you would like! We don’t set any limitations. 12HOW MANY PRINTS CAN I GET? We print 1 strip for each guest. 13HOW MUCH SPACE DOES YOUR PHOTO BOOTH NEED? 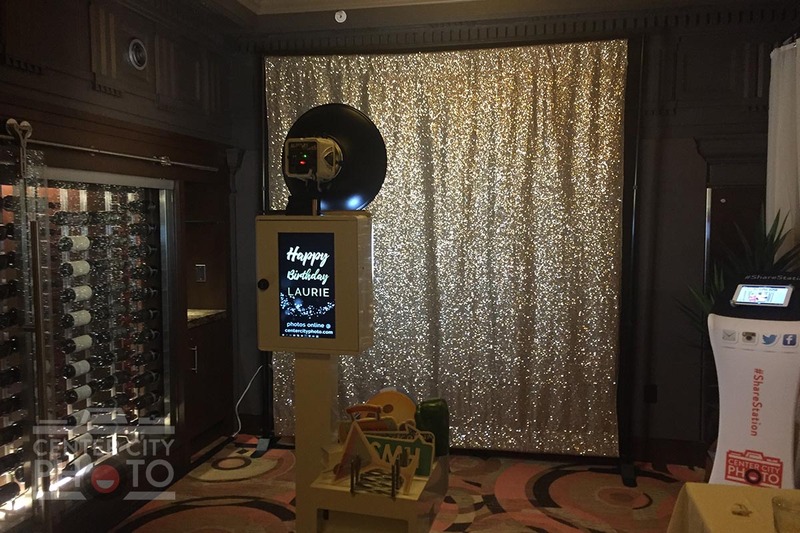 Our photo booth needs an approximately 10’x10’ footprint, with a standard power outlet within 20 feet. 14DOES YOUR PHOTO BOOTH NEED ELECTRICITY? Yes, the photo booth needs electricity. Any standard 15 or 20 amp outlet will do. 15CAN YOU PROVIDE A PROOF OF INSURANCE? Yes we have insurance. We can provide a certificate of insurance when requested. Please allow 7 days for a request. 16CAN YOUR PHOTO BOOTH TRAVEL?